Flash authoring tool KoolMoves is a very inexpensive way to get up and running in the world of Flash scripting. Flash is a powerful visual programming language that's responsible for all the web-based videos you watch frequently, most of the Web ads you see, and many entire websites. Normally, Flash authoring tools run into the hundreds of dollars, but KoolMoves ($49, free feature-limited demo) has positioned itself as an alternative. KoolMoves can animate slides featuring many images. To start with, the program asks you to choose what you're most likely to use KoolMoves for, as well as for your skill level. Since this is a utility rather than a game, it isn't immediately obvious whether you should select "novice," "intermediate," or "advanced." The software doesn't tell you how each skill level limits itself. The built-in wizards are a good start for anyone new to Flash authoring, and KoolMoves is packed full of features. However, even on the "novice" setting and with built-in wizards, getting a movie up and running in KoolMoves is a daunting task. 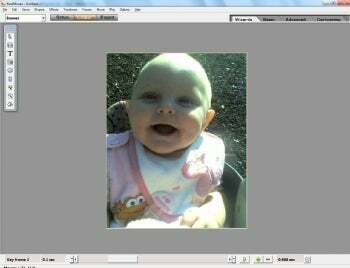 Those who simply want to make a Flash-based slideshow of their favorite photos and stick it on a Web page might prefer Moyea PlayerBox. Those who want a movie-based solution that they can burn to disc should use the inexpensive VideoSpin instead. However, for advanced Flash authors who want to take the time to learn its feature set, KoolMoves has enormous depth and breadth. KoolMoves is definitely recommended for those using Flash to create Web advertisements or even whole Web sites. And the ultra-cheap $49 cost is a tiny fraction of Adobe Flash CS4 Professional's $699 fee. Note: This demo shows a nag screen at the start of each launch. The Save function is disabled (though the demo can still export), and it's missing most clip art, text effect templates and Web interfaces. All created movies bear a watermark. The full version costs $49.